A property contract is a legally binding agreement between interested parties related to a sale, purchase, rent, lease or transfer of a property or properties that must be in writing to be ordained. There are property contracts in use for a variety of purposes and understanding their differences, will give buyers, tenants and sellers the ability to complete the process without facing difficulties, once the deal is concluded. What are the most common formats of real estate contracts found in real estate law? The following explains some of the most common forms of real estate contracts seen in the property market. The main purpose of this type of property contract is to codify the main acquisition agreement, between a buyer and a seller involving a specific property. Such a contract will typically include all the essential elements such as party identification, signatures and the purchase price, etc. Known also as a real estate assignment contract, it is typically used in investment strategies that involve the wholesale of properties. For example, when an investor finds a vacant property, he or she can secure it under a contract and can “assign” this contract over to a third party buyer, while keeping a small profit in the process. Such a real estate contract is a basic agreement between the property owner and the lessee. The purpose of such a contract is to protect both parties from unforeseen circumstances. Agreements of this nature highlight essential aspects that can include how utilities are handled, the rent amount or the security deposit. A “tenancy” is the act of renting a property with no fixed terms and as such, is an agreement between the landlord and the tenet where the landlord authorises the tenet to use his property under loosely defined conditions. In Sri Lanka, a tenancy constitutes a very liberal rental agreement between the main interested parties. A power of attorney agreement is a form of real estate contract that gives authority to a third party to sign a real estate contract on your behalf. Such contracts can be extremely useful in situations where you are unavailable to sign a contract. For example, in situations where you are out of the country. What are the essential conditions that should be included in a real estate contract? 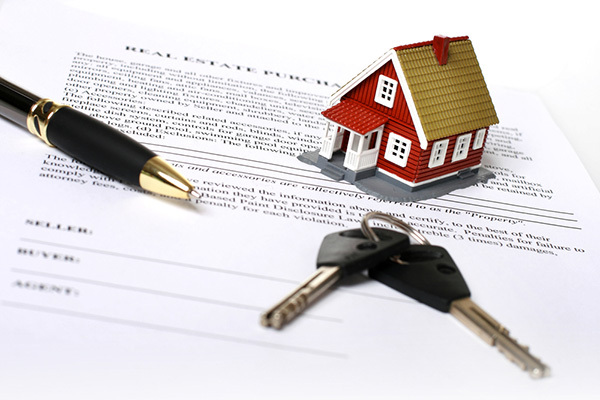 A real estate contract must include a number of essential clauses that allow it to become a legally binding agreement. Apart from the obvious such as the address of the property and the purchase price, a number of such important clauses are mentioned below. Often, a property buyer will have to obtain a mortgage in order to fulfil the financial terms of a property contract. As such, mention that your offer is contingent, upon obtaining a mortgage at a specified interest rate. The contract must specify whether the buyer or seller should pay the common fees that are associated with the purchase of the property. For example, this could include the title search fee, notary fee, escrow fee, title insurance fee, recording fee and the transfer tax, etc. Unless the buyer is purchasing a teardown property, it is advised to include a home inspection contingency in the purchase offer. Such a condition will allow the buyer to abandon the deal if the home inspection reveals significant structural flaws that are expensive or difficult to repair. If the buyer would like to have essential fixtures and appliances, such as an oven, a dishwasher, stove, refrigerator, a washing machine or any other utility preinstalled in the property prior to the purchase, then this must be specifically mentioned in the contract. The buyer should include the amount of time required to complete the purchase transaction. This could include either a 30-day, 45-days or a 60-day period depending on the individual circumstances. Since circumstances can change, it is advised to have as much time as possible before closing the deal.